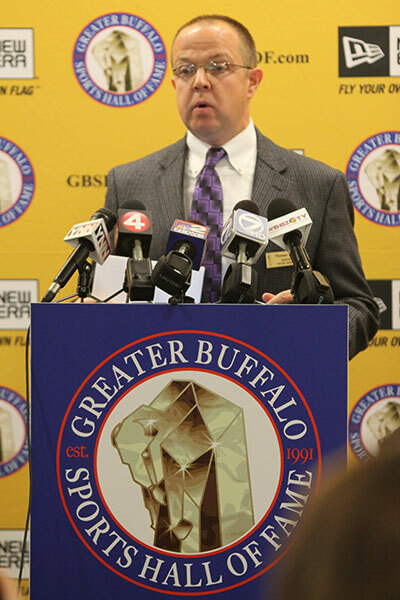 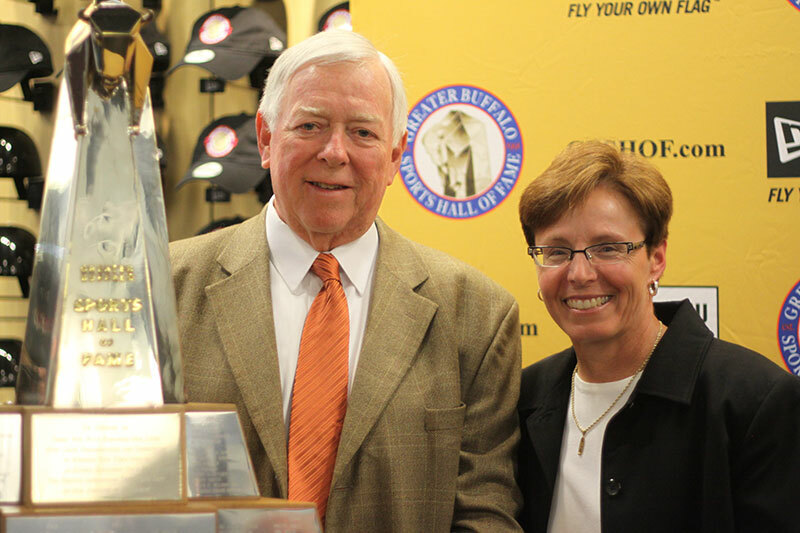 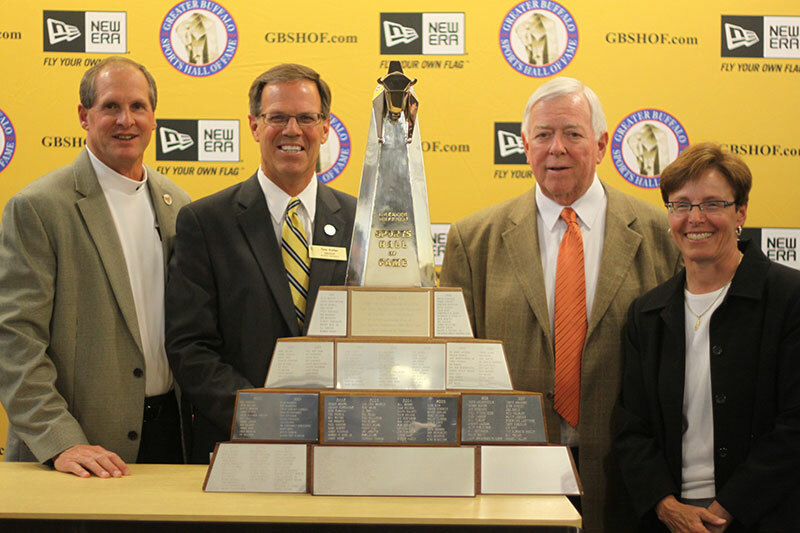 June 6, 2013, BUFFALO, NY – The Greater Buffalo Sports Hall of Fame introduced its 13 member Class of 2013 on Wednesday afternoon, June 6 at the New Era Corporate Headquarters in downtown Buffalo, NY. 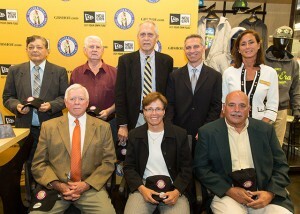 This is the 23rd class to be inducted into the Hall of Fame since its inception in 1991 and brings total membership to 267. 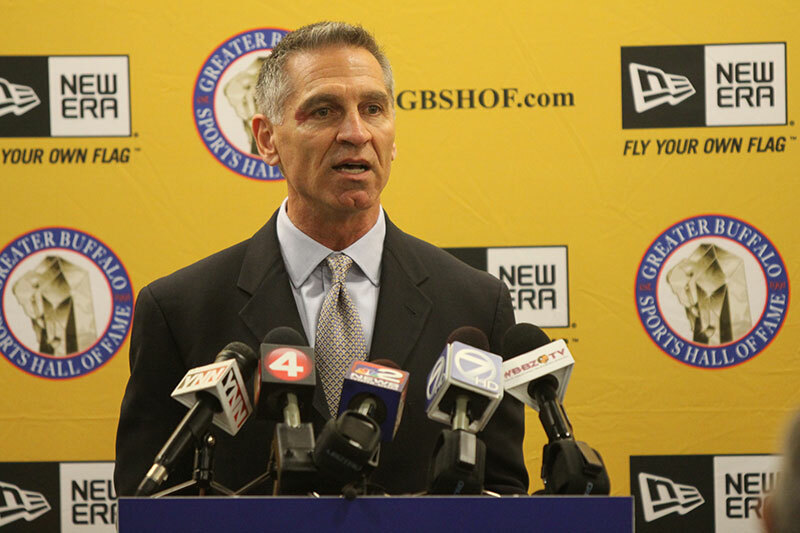 Buffalo native and a member of the Super Bowl XXI champion New York Giants, Phil McConkey, offered remarks on behalf of the class. 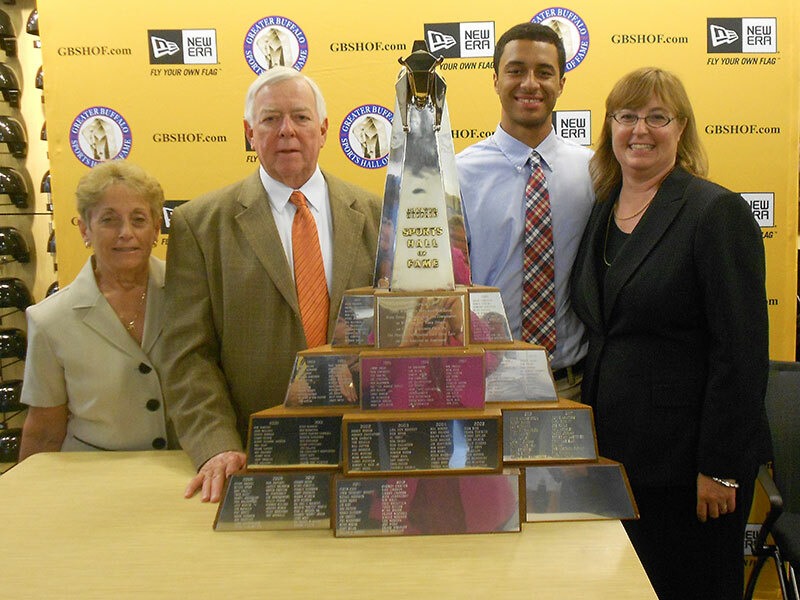 McConkey, a Canisius High School graduate, played six seasons in the NFL for the Giants, Green Bay Packers, Phoenix Cardinals and the San Diego Chargers. 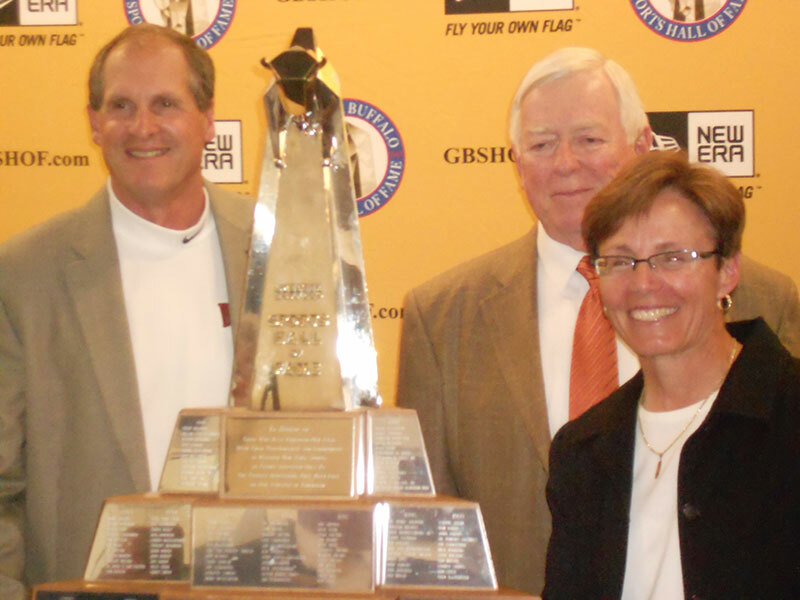 McConkey will be inducted with 12 other former athletes, administrators and coaches into the 2013 class. 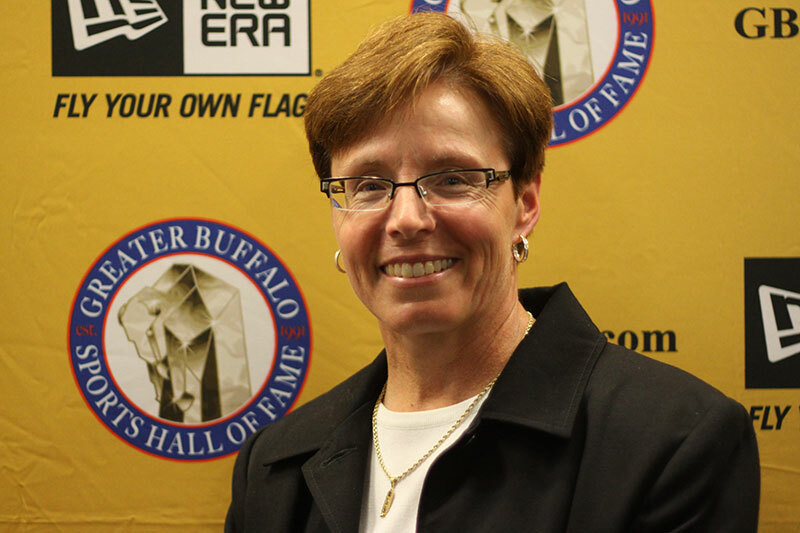 Five of the 13 will be inducted posthumously as part of the Pride of Western New York. 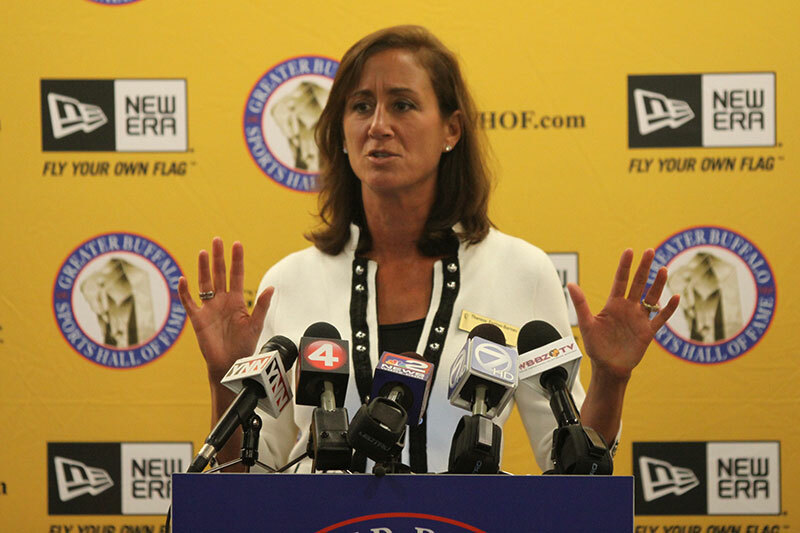 This class joins a rich heritage of native Western New Yorkers, or those who starred in and around the Queen City during their playing days and sports careers who are enshrined in the Greater Buffalo Sports Hall of Fame. 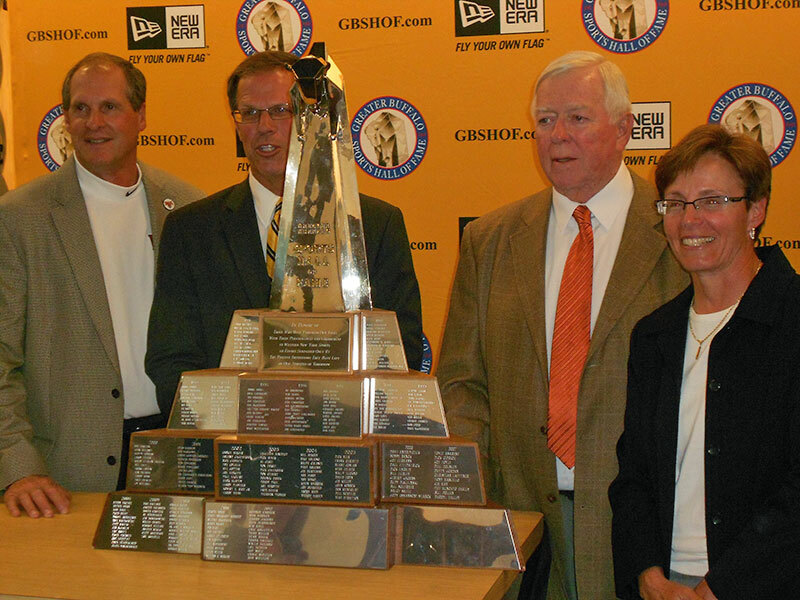 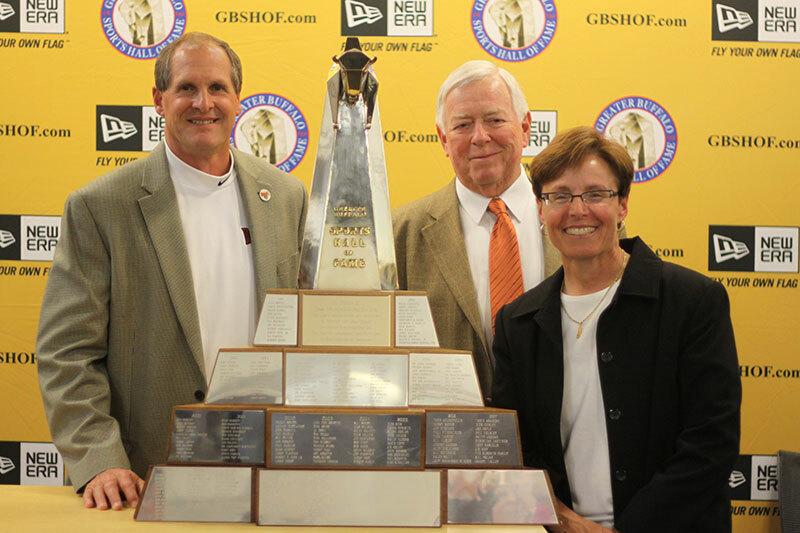 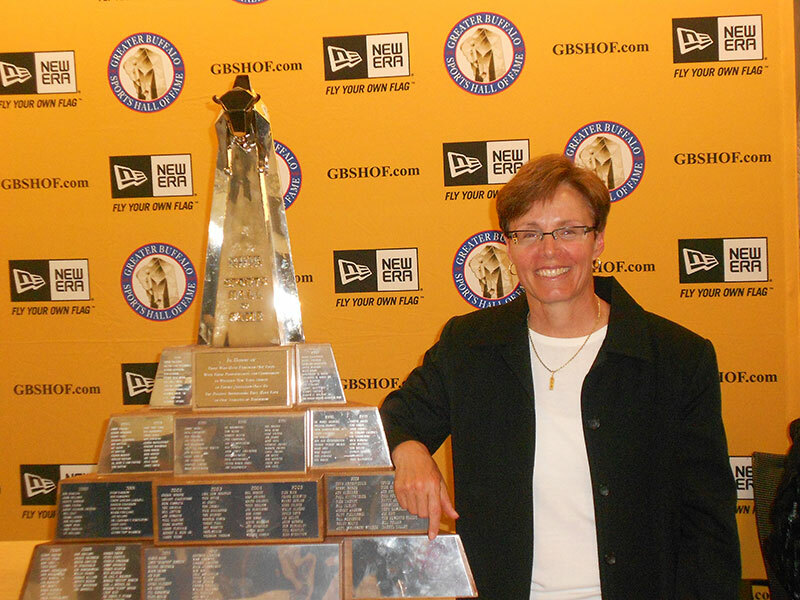 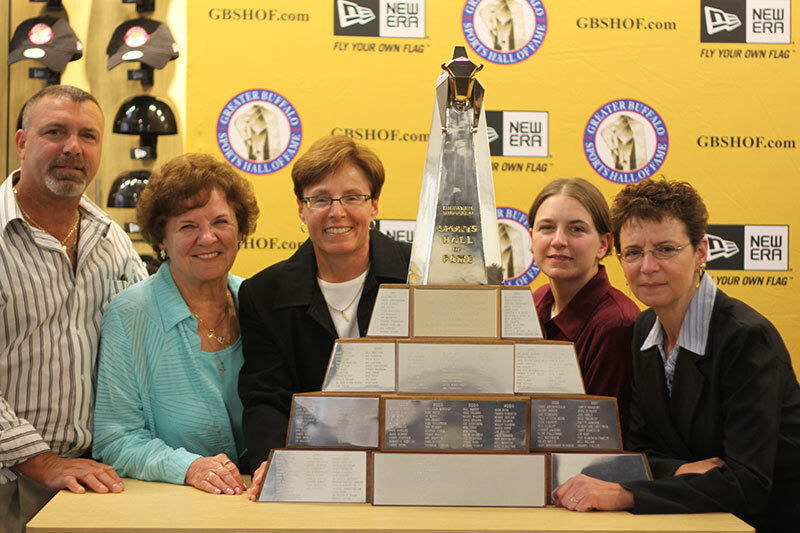 The 2013 class will be officially inducted into the Hall of Fame in October or November (date to be announced) at the GBSHOF dinner in the Buffalo Hyatt Regency Hotel.